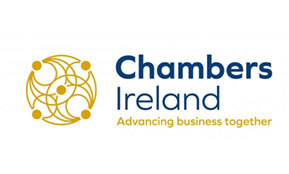 Ahead of the EU Foreign Affairs Council Taking Place today in Brussels (9 November 2018), Chambers Ireland, in collaboration with our colleagues in Eurochambres, urges Member States and the European Commission to increase their efforts to improve the implementation of EU Free Trade Agreements so that they are more accessible, particularly to SMEs. “Today, Europe has the world’s largest network of trade agreements and this is a testament to the strength of Europe’s negotiation teams. Yet, while the EU delivers when it comes to finalising trade deals companies across Europe are still punching well below their weight when it comes to implementing those agreements at home. Earlier this week, our colleagues in Eurochambres published a concept paper recommending that major EU FTAs be accompanied by Trade Implementation Action Plans to ensure a more effective and coherent implementation of these agreements. Member States, including Ireland, can do a lot more to promote the benefits of trade. SMEs need more supports so that they can maximise the opportunities from agreements such as those negotiated with Canada, Mexico and Japan.